When I made my first batch of mayo I had to dump it. I had read several recipes online that used ground mustard. 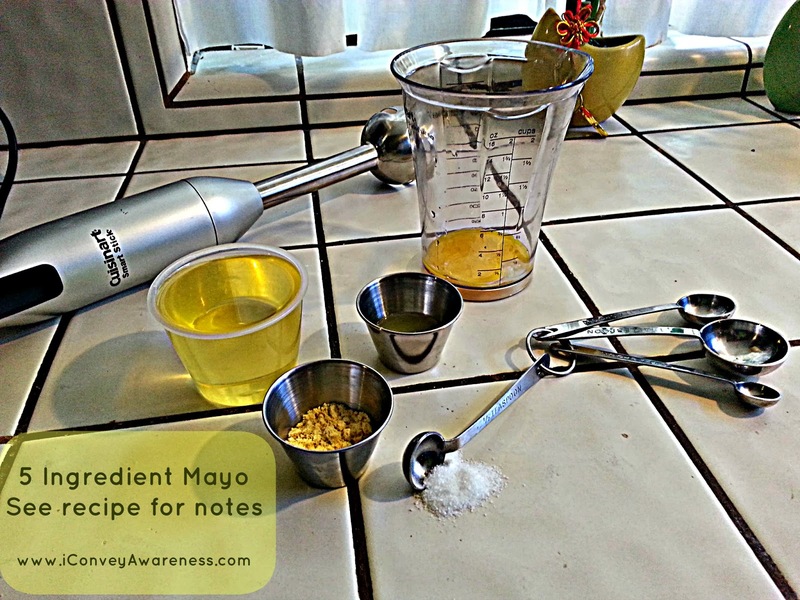 In the image above, it shows the ground mustard but when I used my immersion blender it did not emulsify as it should have. So in my second batch, I replaced it with a dollop of dijon mustard. 1/2 tsp of salt to taste (after it's been whipped, see first image). In the order of the above, add the ingredients to the cup (it comes with the 2-speed immersion blender, link is in the ingredients). 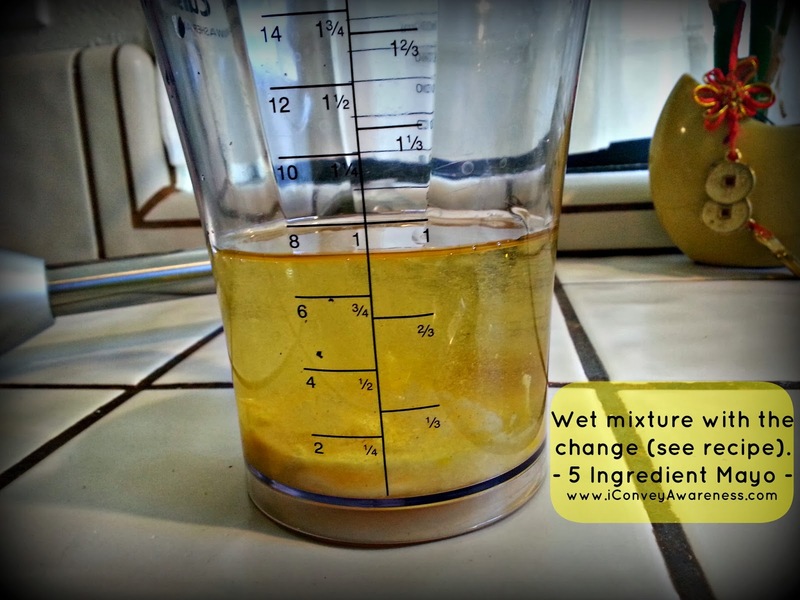 The most important step is to slowly pour the oil in with the other ingredients; a slow stream. Gently place the immersion blender in and turn on high. It will take about 30 seconds. You will see it emulsify (or thicken) in the cup. Remove blender. Add salt to taste, stir, and store in a glass jar in the fridge for up to 1 week. Note: I used grapeseed oil because it was the light oil I had on hand. I use this oil on occasion but it is an Omega 6 oil. We need to have a balance of all 3 omegas in our health regimen. I recommend organic olive oil (not EVOO) if you make this recipe and it's an Omega 9 - a better, healthier choice. However, I will use grapeseed as my Omega 6 choice as it is not GMO. It doesn't have much of a taste making it versatile. 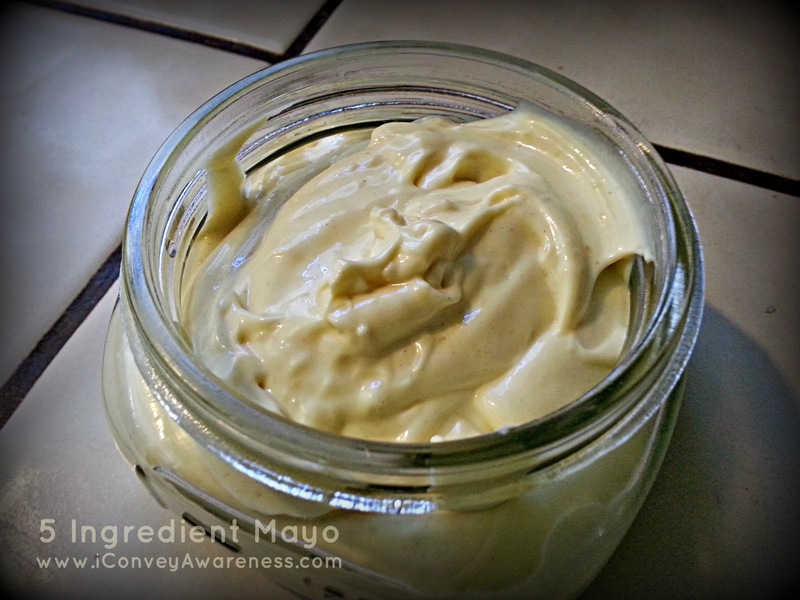 I used my first DIY mayo in a chicken salad recipe that I made from scratch. This recipe is here. Guest Post: Move More, Drink More!